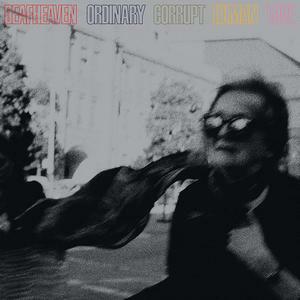 Deafheaven’s Ordinary Corrupt Human Love is no ordinary corrupt human rehash of that dim swamp of today’s black metal. Where most bands are contemptuous of change for fear of riling their fan base that demands the comforts of bandsaw vocals and cut-out chaos, Deafheaven break the oldie molds with the finest metal-based music presently available. Formed in the cesspool streets of San Francisco, the present quintet fronted by George Clarke has spent three prior albums eviscerating black metal by gutting its strict formula. In doing so, Deafheaven have alienated half the metal world while convincing the other half that they are among the great modern bands. Polarization is the keystone of art. Ordinary Corrupt Human Love is art, and a messy millennial masterpiece of genre-collision and unique vision. Four of the songs bust the ten-minute barrier, with “Canary Yellow” at the center of that forty-armed galaxy. “Canary Yellow” is passion and purge, torrent and taunt, vague in meaning with reference to the spilt blood of a lover, and subversively submersive. It is a major statement that flies to the corners of the metal map, uncaring if you like the trip but adamant that you come along. The nine-minute mark takes the track into a place where listening causes staggering and addiction. “Near “and “Night People,” with Chelsea Wolfe in duet, round the bedroom blackgaze ring. “You Without End” and “Honeycomb” sport guitar solos and arrangement builds that are less metal than the black leather crew might appreciate, but Deafheaven obviously doesn’t care. It’s apparent that Deafheaven are an art metal band that ignores the norms of comfort. Their art is not always highbrow and other times it may get post-modern obscure, but all that matters is the music and where it takes you. Deafheaven are limited only by sky and disdain for mediocrity.